I came across this gold half-moon take on the french manicure on pinterest and can't wait to try it out. I love me some good nail inspiration, especially when it's subtle and easy to pull off. 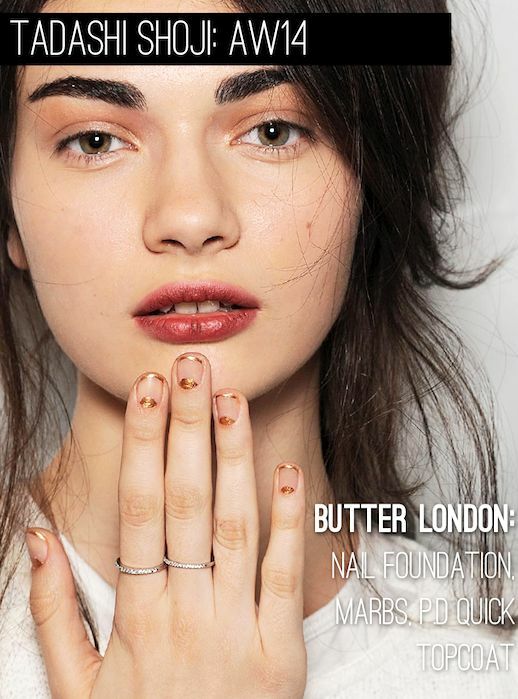 After some digging, I found out the nails were by Butter London for the Tadashi Shoji F/W 2014 show.